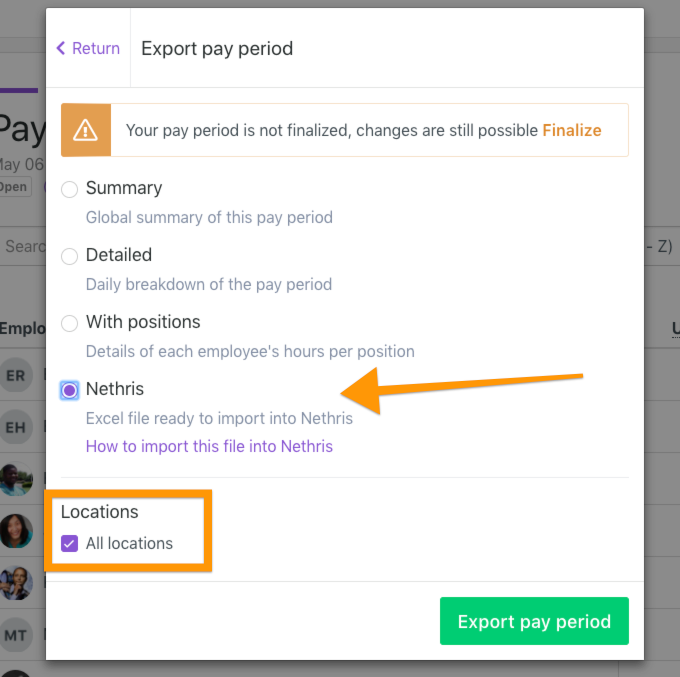 Before exporting your first payroll in Nethris format, you must set up your configuration. Here is an article that explains How to set up my Nethris exportation? Data imported in Nethris is always on weekly basis; this allows you to understand the earning codes repartition more easily.